This press release is a statement by the U.S. Food and Drug Administration and was not written by Body1. 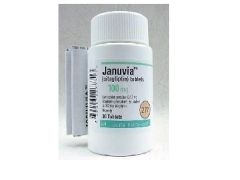 FDA is revising the prescribing information for Januvia (sitagliptin) and Janumet (sitagliptin/metformin) to include information on reported cases of acute pancreatitis in patients using these products. Sitagliptin, the first in a new class of diabetic drugs called dipeptidyl peptidase-4 (DPP-4) inhibitors, is approved as an adjunct to diet and exercise to improve glycemic control in adults with type 2 diabetes mellitus. Information regarding post-marketing reports of acute pancreatitis, including the severe forms, hemorrhagic or necrotizing pancreatitis. Recommending that healthcare professionals monitor patients carefully for the development of pancreatitis after initiation or dose increases of sitagliptin or sitagliptin/metformin, and to discontinue sitagliptin or sitagliptin/metformin if pancreatitis is suspected while using these products. Information noting that sitagliptin has not been studied in patients with a history of pancreatitis. Therefore, it is not known whether these patients are at an increased risk for developing pancreatitis while using sitagliptin or sitagliptin/metformin. Sitagliptin or sitagliptin/metformin should be used with caution and with appropriate monitoring in patients with a history of pancreatitis. This information reflects FDA’s current analysis of data available to FDA concerning this drug. FDA intends to update this sheet when additional information or analyses become available. To report any unexpected adverse or serious events associated with the use of this drug, please contact the FDA MedWatch program and complete a form using the information at the bottom of the page. Be aware of the possibility for and monitor for the emergence of the signs and symptoms of pancreatitis such as nausea, vomiting, anorexia, and persistent severe abdominal pain, sometimes radiating to the back. Discontinue sitagliptin or sitagliptin/metformin if pancreatitis is suspected. Understand that if pancreatitis is suspected in a patient, supportive medical care should be instituted. The patient should be monitored closely with appropriate laboratory studies such as serum and urine amylase, amylase/creatinine clearance ratio, electrolytes, serum calcium, glucose, and lipase. Inform patients of the signs and symptoms of acute pancreatitis so they are aware of and able to notify their healthcare professional if they experience any unusual signs or symptoms. Be aware that acute pancreatitis has been reported in patients using sitagliptin or sitagliptin/metformin. Pay close attention for any signs or symptoms of pancreatitis such as nausea, vomiting, anorexia, and persistent severe abdominal pain, sometimes radiating to the back. Promptly discuss any signs and symptoms of pancreatitis with a healthcare professional. Do not stop or change medicines that have been prescribed without first talking with a knowledgeable healthcare professional. FDA has completed a review of 88 cases of acute pancreatitis in patients using sitagliptin or sitagliptin/metformin. The cases were reported to FDA’s Adverse Event Reporting System (AERS) between October 2006 and February 2009. Hospitalization was reported in 58/88 (66%) of the patients, 4 of whom were admitted to the intensive care unit (ICU). Two cases of hemorrhagic or necrotizing pancreatitis were identified in the review and both required an extended stay in the hospital with medical management in the ICU. The most common adverse events reported in the 88 cases were abdominal pain, nausea and vomiting. Additionally, the analysis found that 19 of the 88 reported cases (21%) of pancreatitis occurred within 30 days of starting sitagliptin or sitagliptin/metformin. Furthermore, 47 of the 88 cases (53%) resolved once sitagliptin was discontinued. It is important to note that 45 cases (51%) were associated with at least one other risk factor for developing pancreatitis, such as diabetes, obesity, high cholesterol and/or high triglycerides. Based on the temporal relationship of initiating sitagliptin or sitagliptin/metformin and development of acute pancreatitis in the reviewed cases, FDA believes there may be an association between these events. Because acute pancreatitis is associated with considerable morbidity and mortality, and early recognition is important in reducing adverse health outcomes, FDA is recommending revisions to the prescribing information to alert healthcare professionals to this potentially serious adverse drug event.